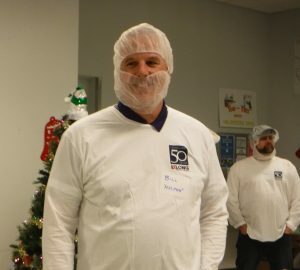 LPC Employees and Their Families Donate Their time This Holiday Season! 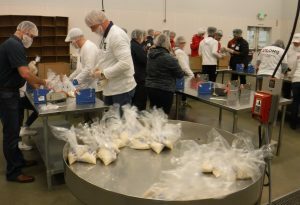 On Tuesday, twenty-seven Long Painting Company employees and their families took time out of their busy schedules to volunteer at the Northwest Harvest Warehouse in Kent, WA. 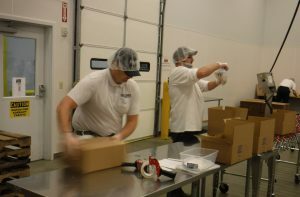 Once the group was briefed on food handling safety procedures, everyone stepped right into action by going to various work stations. 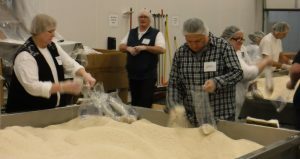 At the first station, volunteers were responsible for opening up 50 pound bags of rice and pouring it onto a large metal table. The rice was raked, then measured and scooped into individual portions, enough to feed a family of four. 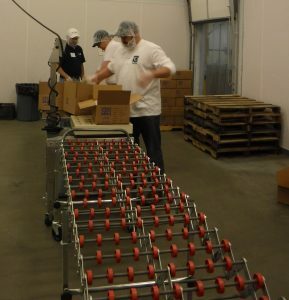 The individual bags of rice were then taken to sealing stations where the air was taken out of the bags, sealed with a bag neck sealer, then packed into boxes, and sent down a conveyor belt to be taped and loaded onto pallets. The pallets where then loaded onto a truck which would distribute the rice to food banks throughout the state of Washington. 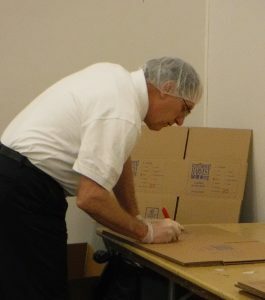 Of course, the competitive nature came out of a few employees who had to see who could empty their table of rice first or even who could seal the most bags. When it was all over we all walked away winners even though most walked away with sore muscles, and achy feet. It was satisfying to know, we as a team, helped put a dent in fighting hunger. 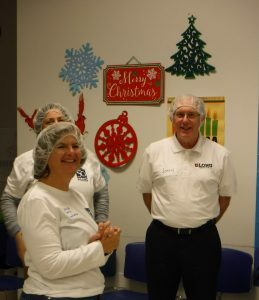 In a two-hour shift, LPC employees and their families were able to package 5,000 pounds of rice, which created 3,846 meals! 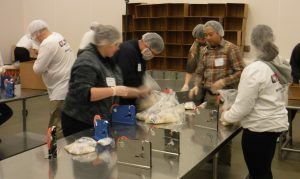 For information or for a list of volunteer opportunities, please visit http://www.northwestharvest.org/ or email volunteer@northwestharvest.org. « LPC is Looking Toward the Next Fifty Years!